Google Doodle pays tribute to the iconic Soviet artist and director Sergei Eisenstein his 120th birthda. Sergei Eisenstein pioneered a film technique called cinematic montage. Google Doodle honours Sergei Eisenstein on 120th birthday. On Sergei Eisenstein's 120th birthday, Google Doodle pays tribute to the iconic Soviet artist and director who pioneered a film technique called cinematic montage. 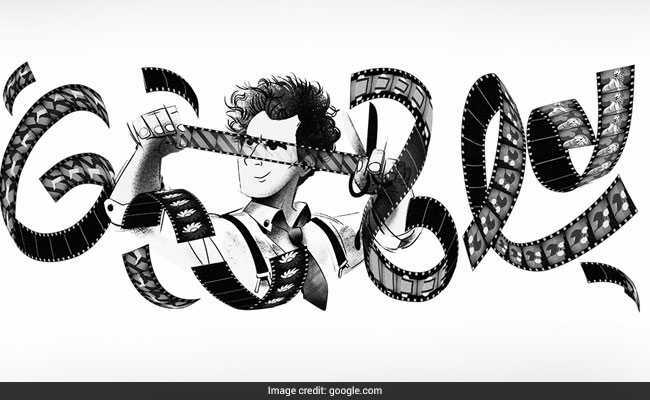 The film strips in today's Google Doodle are "inspired by iconic imagery in some of Eisenstein's films," read a post by Google. He developed five 'methods of montage', namely, namely, metric, rhythmic, tonal, overtonal and intellectual. He also won two Stalin Prizes, first in 1941 for the film 'Alexander Nevsky' and again in 1946 for the first film of the series 'Ivan the Terrible'. He was struck by a serious heart attack on February 2, 1946, and spent much of the following year recovering. He died of another heart attack at the age of 50 in Moscow on February 11, 1948. Sergei Eisenstein was born on January 22, 1898 at Riga in Russian Empire. His father Mikhail Osipovich Eisenstein was an architect and his mother Julia Ivanovna Konetskaya was the daughter of a prosperous merchant. Sergei Eisenstein was a Soviet artist and avant-garde director of several groundbreaking films, including Battleship Potemkin, Strike, and The General Line. Known as the father of montage - the film technique of editing a fast-paced sequence of short shots to transcend time or suggest thematic juxtapositions - Sergei Einstein deployed arresting images in sequences of psychological precision. Sergei Eisenstein's films were also revolutionary as he often depicted the struggle of downtrodden workers against the ruling class. On personal front, Sergei Eisenstein married filmmaker and writer Pera Atasheva and remained married until his death in 1948.